2012 – The year that marked itself in the history of Higher Ed and online learning – the year when the MOOC revolution started making education open to everyone who is interested in learning irrespective of their age, background knowledge and financial status. It was autumn 2011 when Sebastian Thrun recorded his Stanford class lectures on Artificial Intelligence and made it available online. No wonder why 180,000 students were attracted to it. And soon after, Coursera, edX and Udacity came forward with access to quality education material, solving the problem of increasing debt on students. Since then, more than 8 million students have registered for online courses and successfully completed them. Email vs SMS vs IP Messaging! Which is the best suitable option for your app/website? Email vs SMS vs IP Messaging! What do customers prefer? One will have to stick to the following modes of communication to run an online business. First, of it, they can play around with email. They can tack around with SMS. IP Messaging – a savior. In continuation with the previous article , this article is intended to explain how iOS remote notification works. Below graphics explain how basics of notification in iOS. We will go through each steps one by one. 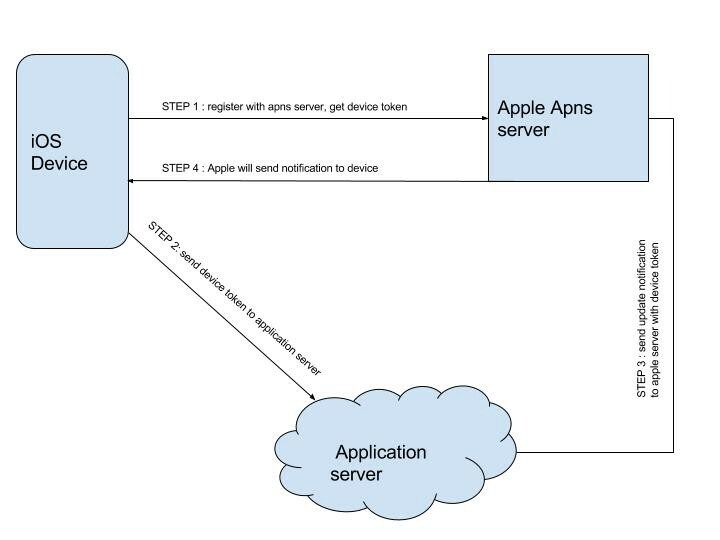 First thing we need to request apple to register your device with apns. For this you need to call below code from your launcher controller. Once you call this method from your controller, you will get a callback to your Appdelegate method: didRegisterForRemoteNotificationsWithDeviceToken. You will get device token from apple server in hex format. For a sample code checkout our open source iOS SDK.